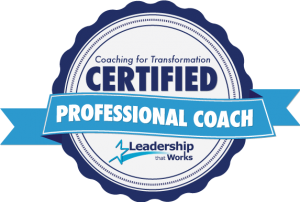 Describing the difference between workshops and group coaching is surprisingly difficult since often the lines can blur given I am prone to using my coaching skills even in workshops and the topics can be similar. The main difference is that in group coaching sessions, my primary focus is on taping the collective wisdom of the group using various coaching skills and providing accountability to participants, while in a workshop my focus is on providing tools, information, and other resources to teach certain practical skills. Workshops are usually short – a day, weekend, or week, while group coaching usually holds meetings on a regular basis for a longer period of time with participants doing their own work between sessions, although single-day events do happen. These are some of the topics I like to cover in workshops (and sometimes as group coaching programs). If you have something specific in mind feel free to connect with me to see if it is something I would be open to covering. I periodically provide public programs and events both in person and online. Join my mailing list keep informed of offerings. If you are in NYC or the Hudson Valley, join one of the You Are Who You Create local chapter meetup groups to be notified of events. Interested in a private event for your group or organization? Let’s talk!